This library has been made to easily interface and use the MCP4725 DAC with an Arduino or chipKit. 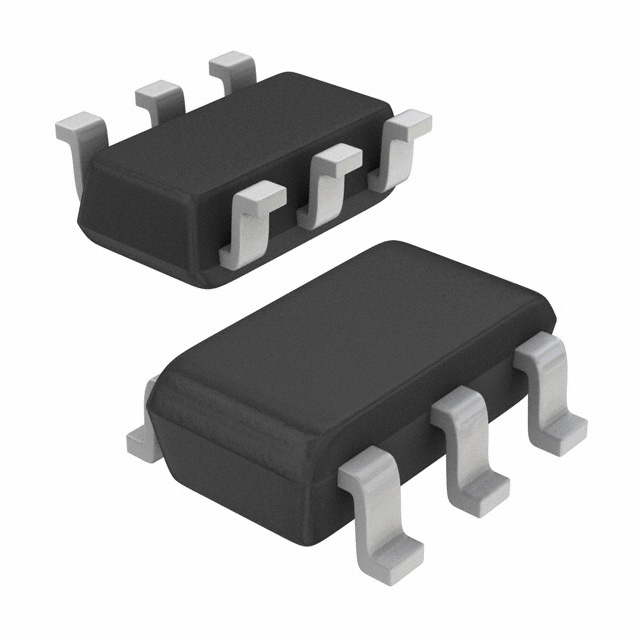 The MCP4725 is a low-power, high accuracy, single channel, 12-bit buffered voltage output Digital-to-Analog Convertor (DAC) with non-volatile memory (EEPROM). Its on-board precision output amplifier allows it to achieve rail-to-rail analog output swing. The DAC input and configuration data can be programmed to the non-volatile memory (EEPROM) by the user using I2C interface command. The non-volatile memory feature enables the DAC device to hold the DAC input code during power-off time, and the DAC output is available immediately after power-up. This feature is very useful when the DAC device is used as a supporting device for other devices in the network. The device includes a Power-On-Reset (POR) circuit to ensure reliable power-up and an on-board charge pump for the EEPROM programming voltage. The DAC reference is driven from VDD directly. In power-down mode, the output amplifier can be configured to present a low, medium, or high resistance output load. The MCP4725 has an external A0 address pin. This A0 pin can be tied to VDD or VSS of the user’s application board. The library has not been tested in combination with the Wire library and I have no idea if they can share pins. Do not send me any questions about this. If you experience problems with pin-sharing you can move the MCP4725 SDA and SCL pins to any available pins on your development board. This library will in this case fall back to a software-based, TWI-/I2C-like protocol which will require exclusive access to the pins used. 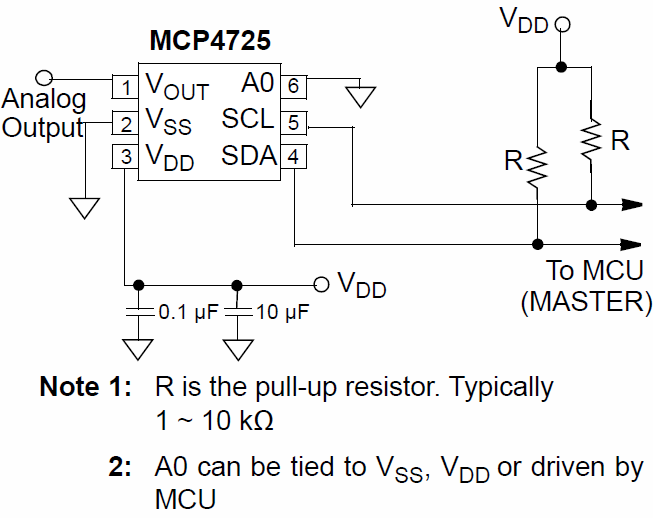 It should be noted that the output voltage from the MCP4725 is referenced to the operating voltage of the chip. If your operating voltage is below/above nominal the output will also be below/above what you expect from the set value.